The 16th issue of the NERIS Newsletter is now available. This edition provides some feedbacks from recent events, information on European projects and announcement of upcomings events such as RICOMET 2019, ERPW 2019, and European Projects final Workshops. Use of uncertain information by decision makers at the various levels within the decision making process and its communication. Guides and recommendations for the decision making in the post release and transition phase taking into account uncertain information will be presented and tested. Attendees will debate how to interpret, use and communicate uncertainties within the decision making process. The course and practical sessions/workshops will also consider the: establishment and optimisation of remediation strategies; benefits of stakeholder involvement; inclusion of human behaviour, cultural differences and stakeholder preferences as a part of the tools to aid decision making. Training the trainers and facilitators of national, regional and local workshops based on learning from doing and own engagement and experience during the training course is one of the goals of the training. While there is no registration fee, training course participation is limited to a maximum of 24 participants. Pre-registerers are accepted for final registration. and registration is required by filling the online registration form. Priority will be given to participants from E.U. countries working in the domain of nuclear or radiological emergency and recovery management. Please download the second announcement of the training course with this link. Workshop on assessing risks from radioactive legacy sites and how to better present uncertain information. The objective of the workshop is to discuss the risk assessment process as applied to radioactively contaminated legacy sites and how to better present the assessment findings and associated uncertainties to stakeholders. The workshop will show how the risk assessment process has been applied to a real site in the UK. 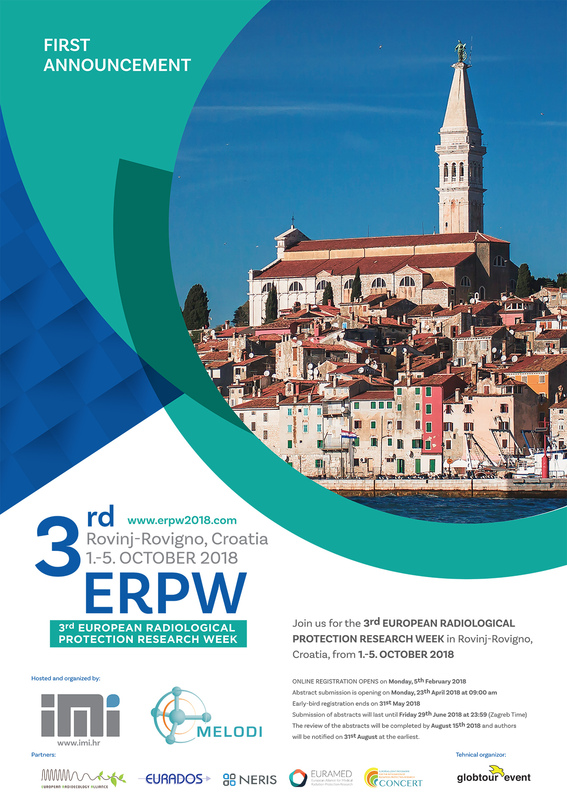 The workshop discussions and presentations are intended to be of interest to students (final year, MSc, PhD) and those in early career stage in the field of radiological protection and nuclear sciences, particularly radioecology and environmental impact assessment, and therefore their participation is encouraged. The training course on “Assessment of long-term radiological risks from environmental releases: modelling and measurements”,23 April – 3 May 2019, Roskilde, Denmark is organised by the Center for Nuclear Technologies at the Technical University of Denmark (DTU) in cooperation with PDC-ARGOS. The training course is co-funded by the European Joint Programme for the Integration of Radiation Protection Research CONCERT. The course is aimed at providing the participants with an understanding of how to assess by measurements and modelling the long-term radiological risks from releases to the environment of radionuclides. Nuclear power plant accidents will particularly be in focus, but RDD’s will be considered. The course builds on decades of international research work, e.g., in European projects such as ECP-4, STRATEGY, EURANOS, NERIS TP and PREPARE, including unique experience from extensive practical investigations in contaminated areas and laboratory assessments. It comprises a hands-on introduction to laboratory measurement techniques including state-of-the-art radiochemistry methods for determination of radionuclides that can not easily be determined. It also includes a hands-on decision support modelling session using a state-of-the-art computerised decision support system for nuclear and radiological emergency management. The targeted audience is PhD students and young scientists / advisors. The course will give students 2.5 ECTS points. Please donwload the first announcement of the training course with this link. Online registration process is ready to use, so make sure to register before the event ! The CONFIDENCE Project, funded under the H2020 CONCERT project, is performing research focused on uncertainties in the area of emergency management and long-term rehabilitation. It concentrates on the early and transition phases of an emergency, but considers also longer-term decisions made during these phases. The project brings together expertise from four European Radiation Protection Research Platforms (NERIS, MELODI, ALLIANCE and EURADOS) and also from Social Sciences and Humanities. Actors in emergency and recovery preparedness and management from all levels and sectors are encouraged to participate in this the CONFIDENCE Dissemination to be held in Bratislava from 2 to 5 December 2019. To disseminate the knowledge acquired and to demonstrate the capability of the developed models, methods, approaches, guides, recommendations and tools. To collect feedback from end users on our outputs and remaining research requirements or improvements in models/guides etc. as a feedback to the Platforms to further develop their Strategic Research Agendas. Information on the agenda, registration and accommodation will be shared in the coming months. You can download the "save the date" here.